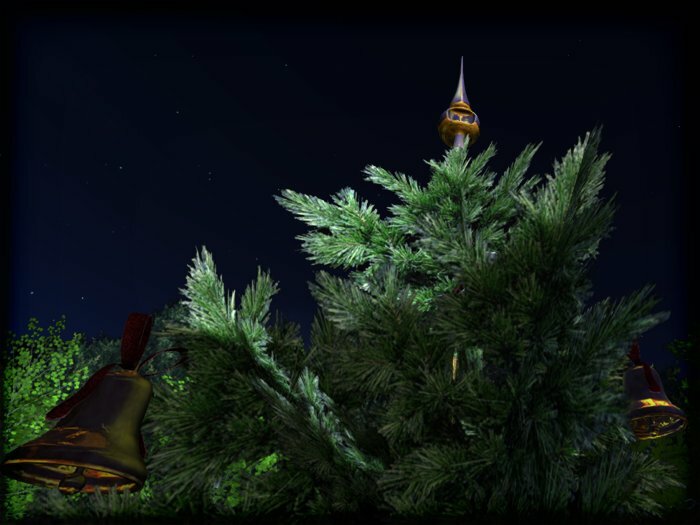 Is it time to decorate the Christmas tree yet? Yes, I believe it is, indeed! 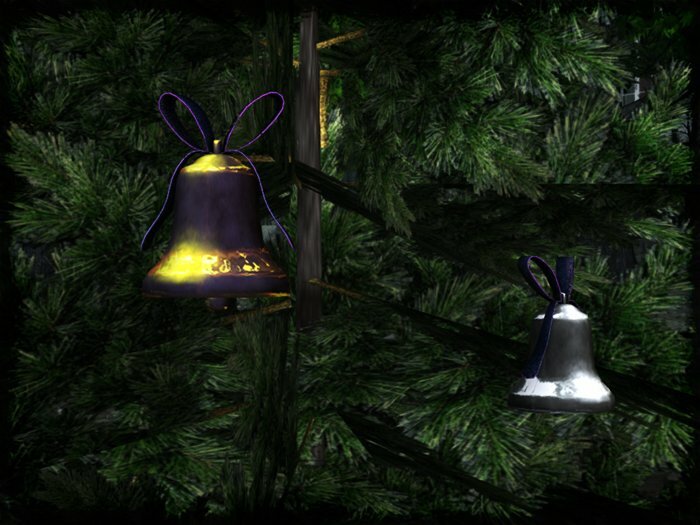 These mesh ornaments have a very low land impact (1 for each bell, 3 for each tree topper), which is just right, as prim count is the last thing you want to have to worry about when decorating your tree! 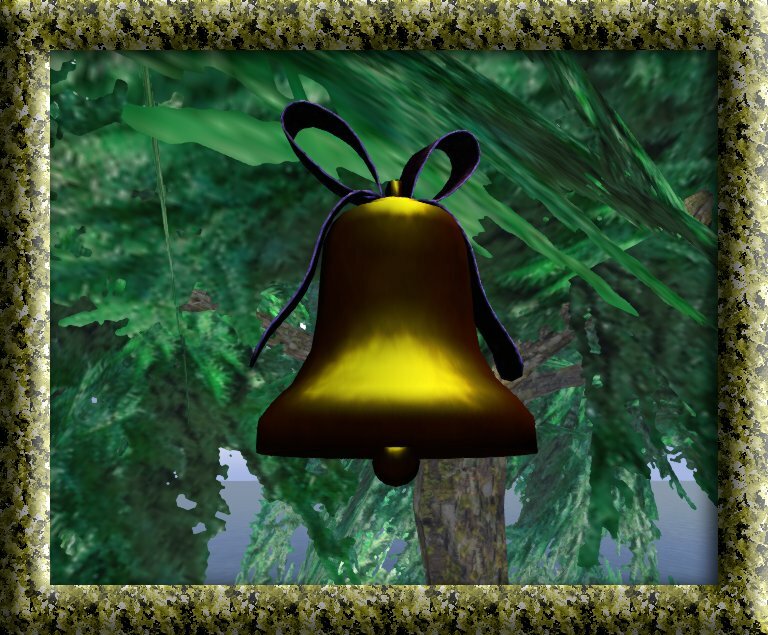 The bells ring on touch, as you would expect. :-) There are 6 different bells (gold, silver, and three different ribbons), and 4 tree toppers (gold, silver, and combinations of gold and silver). 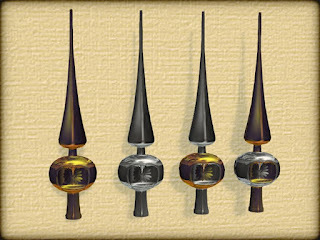 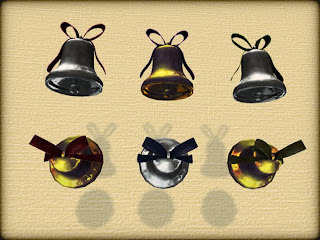 There's also a little freebie in the store: the first version of the bells. 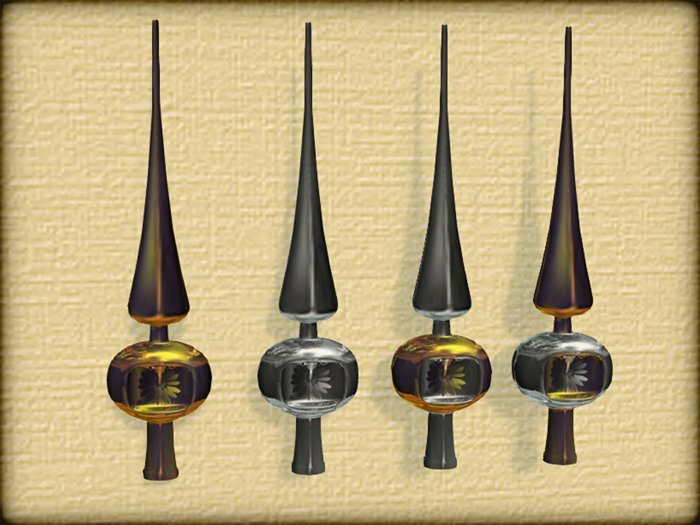 The only difference is that the texture is a bit more cartoony. It's only available inworld at the moment. It's hidden in plain sight in the store - buy it for 0L$ if you can find it!